Zest 4 Leisure 3 Tiered Raised Bed provides a sleeper style planter to give depth in planting over different levels. 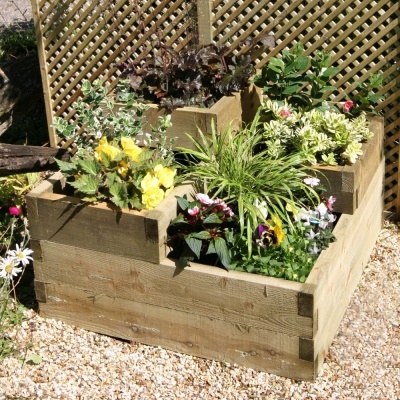 Squared design garden planter of premium quality, constructed using FSC approved pressure treated timber. Self assembly required (full instructions provided). 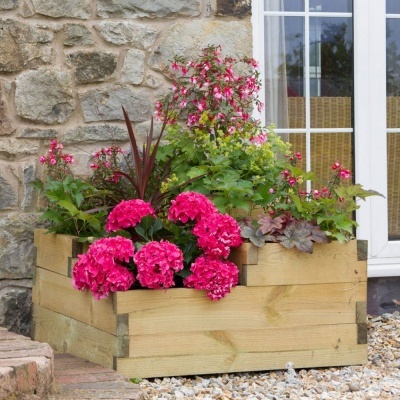 Heavy duty softwood deep planter is ideal for a mixed herb bed, deep vegetable growing or for a courtyard or patio flower display.